Bankruptcy? Foreclosure? Poor Credit? 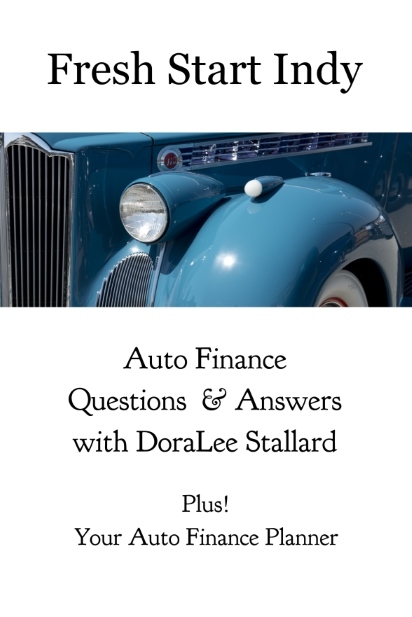 Achieve a “Fresh Start” with DoraLee Stallard’s auto finance guide for car buyers across the United States. Founder of Fresh Start Indy, an auto financing program based in Indianapolis, and an experienced finance manager in the auto industry, Dora Lee Stallard is on a mission. “Our auto financing program helps people feel good about themselves and puts them on the right track.” Your “Auto Finance Planner” includes key steps and checklists noted by the author. Eliminate the frustrating search for vanishing scraps of paper. Keep a record of your auto buying journey safely at hand. YES, this guide can help car buyers in every state!